Manuscript books written on vellum used "furniture", i.e. clasps to keep them closed and bosses to protect the cover surfaces. 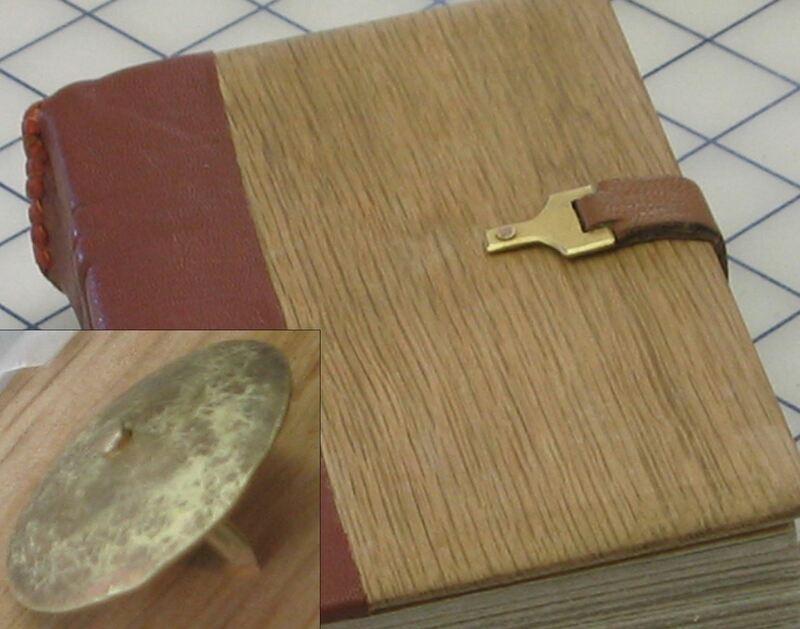 In this one-day workshop, participants will learn the fundamentals of fabricating with brass, sawing, annealing and riveting, as they make clasps and bosses and attach them to the boards of the Gothic book binding. This is a companion workshop to Introduction to Gothic Binding 2019WKSP-01.